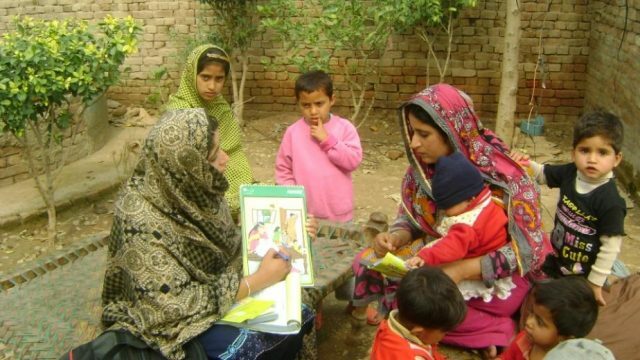 LAHORE: Punjab has outperformed other provinces in family planning, use of contraceptives and maternal, newborn and child health (MNCH) in addition to greater vaccination coverage, revealed a report. According to Demographic and Health Survey 2017-18, Punjab had the lowest percentage of teenage pregnancy at 6.2 per cent. On the other hand, Sindh has 9.9 per cent, KP stands at 14.8 per cent and Balochistan at 11.6 per cent rate of teenage pregnancy. The report further revealed that the use of contraceptives is highest in Punjab, while the province also scored the highest for any method and any modern method. Punjab scored 38.3 for any method and 27.2 for any modern method, Sindh 30.9 and 24.4, KP 30.9 and 23.2, while Balochistan scored 19.8 for any method and 14 for any modern method. Punjab scored 15.8 in unmet demand for family planning while Sindh scored 17.7, KP 20.5 and Balochistan 21.6. According to statistics, Punjab has the highest percentage of women with demand for contraception satisfied. For overall statistics of Pakistan, PDHS 2017-18 report scored better than PDHS 2012-13 report, with lowest unmet need during the last three decades and highest percentage of demand satisfied with modern methods. The unmet demand for contraceptives in Punjab stood at 16 per cent, Sindh 18 per cent, KP 21 per cent while stood at 22 per cent. In the modern contraceptive use, Punjab stands at 27 per cent, Sindh at 24 per cent, KP stands at 23 per cent and Balochistan at 14 per cent. For the demand satisfied with modern contraceptives, Punjab stands at 50 per cent, Sindh at 50 per cent, KP at 45 per cent and Balochistan at 34 per cent, said report. The under-five mortality stands at 74 presently as compared to 89 in 2012-13.